Every girl needs and outlet and whether its online shopping, shoes or vintage clothes - your oultet is your outlet. 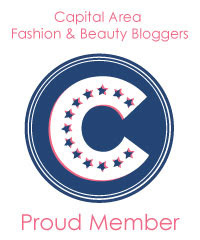 Well one of my girls is launching (January 15, 2012) a website that will focus completely on her outlet and that's vintage wear!!!! 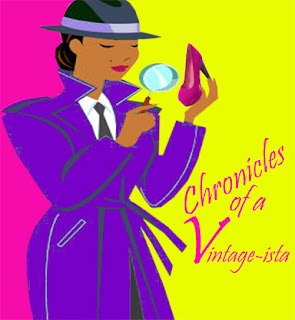 She's known as the Vintagista so it's only right that her site be named "Chronicles of a Vintag-ista." 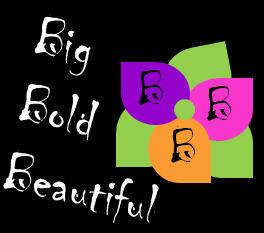 Now, I know you may say what does this have to do with being a BBB girl. Well, it has everything to do with it!!!! Vintage shopping is the one of the rare types that you and your size two girlfriends can do together. You know how it is. On a normal mall outing I'm heading to Lane Bryant while my home girl makes her way on over to Express. Now what fun is that when we're supposed to be shopping together!!! Anyway, when you're shopping Vintage it doesn't matter what size you are. So ladies don't hesitate to go Thrifty. It'll save you some money, it's fun to do and it's one of the rare occassions when SIZE ain't nothing but a #. By the way...here's the logo. I hope you like it because I designed it!!! !